3M All Purpose Cleaner and Degreaser, 38350 - 1 gal. 3M All Purpose Cleaner and Degreaser is a heavy duty cleaner concentrate designed for both interior and exterior vehicle cleaning applications. 3M All Purpose Cleaner and Degreaser removes oil, grease, and other tough soils from vehicle engines, tires, wheels, and other heavily soiled exterior vehicle surfaces, and is very effective for removing insect residue from the fronts of vehicles. 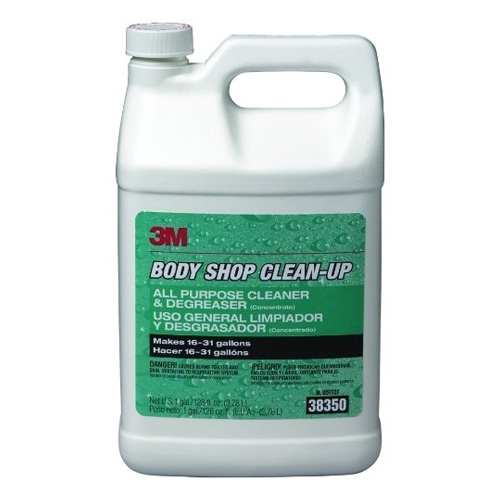 3M All Purpose Cleaner and Degreaser, 38351 - 5 gal.